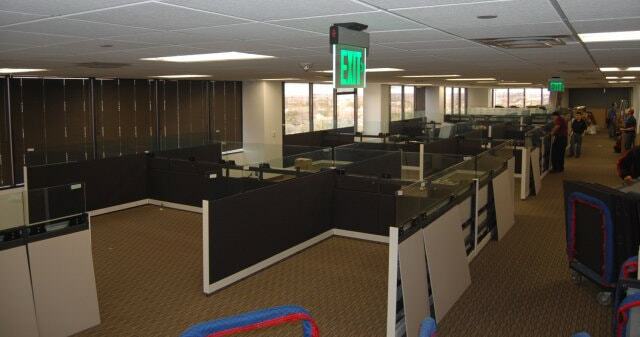 Are the cubicles or workstations at your office not as visually appealing as they used to be? If so, turn to the family-owned and –operated experts at Business Environments to take care of our cubicle cleaning services. 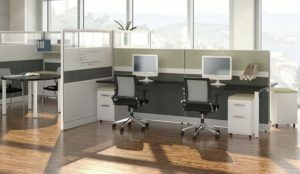 We have over 30 years of experience in the office furniture industry and are able to handle all of your office furnishing service needs – and cubicle cleaning is no exception. Our team of technicians will professionally clean the fabric on your existing cubicle panels or chairs so that they look just as good as new. The revitalization of your office furniture will instantly enhance the overall appeal of your business and will result in a space that looks brand new years after your cubicles were purchased. For more information about the cubicle cleaning and other services we offer to business owners, designers, dealers, and architects, please contact Business Environments today. We are happy to answer any questions you may have about our services.